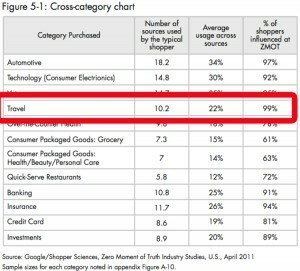 In 2011, Google hired a third-party market research firm to survey some 5,000 people upon purchasing items in 11 different industries ranging from cars to toaster ovens to burritos. The innovative theme gleaned from all this research became what’s now semi-famously known as the “Zero Moment Of Truth” (they published a book on it too1), a tipping point of sorts to the online marketer. The ZMOT encompasses all the behavior building up to that critical point in which a customer either decides to buy or bail. In the vacation rental industry, you can think of it as the moment a guest decides to inquire (or book) your property or pass on the opportunity. It’s fight or flight…but for vacation rentals. The study cites examples such as researching a pair of jeans before you go to the mall or asking friends what kind of camera to buy on Facebook. The ZMOT begins with reconnaissance missions far before the client actually enters the purchasing process. And vacation rentals fit perfectly into the data sets. For us in the vacation rental industry, the ZMOT could be an inquiry, an actual booking, or (if you’re a PM) the moment a new owner puts their property in your fleet. No matter where that threshold lies, the process truly begins the moment a potential guest grabs some kind of computer and begins researching a property or destination. In last week’s Inside The Mind Of VR Guests Workshop, we learned that the average vacation rental guest is sitting down to begin his or her research nearly 5 months in advance. 5 months is plenty of time to win an information war. Understanding better our potential customer avatar is something that will set tomorrow’s successful vacation rental owners and managers apart from those who have simply ridden a wave. 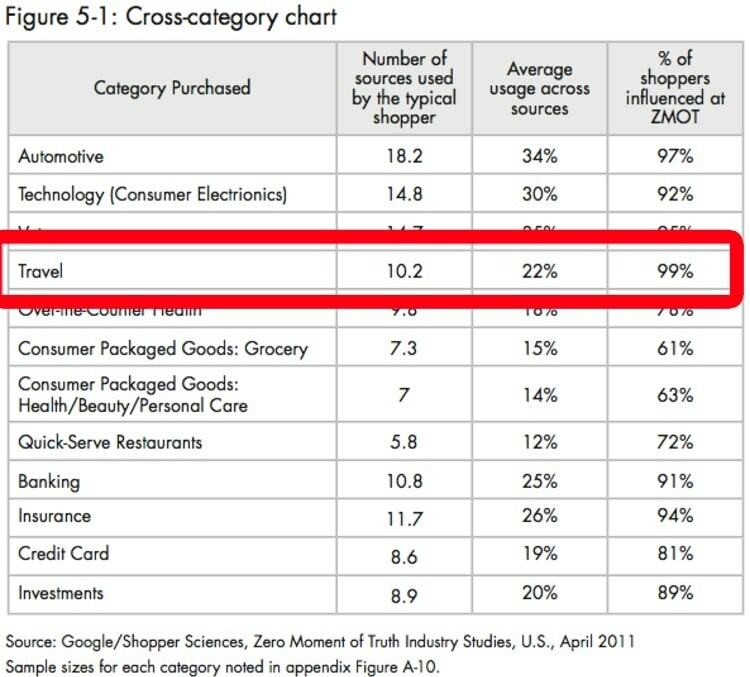 There are a ton of interesting tidbits in the ZMOT book (I’d highly recommend you read it), but one of my favorites is that across all categories in 2010, shoppers needed 5.3 sources of information before making a purchase decision. Compare this to 2011 (just a year later) when that same travel shopper needed 10.2 sources before making a purchase decision. Not unlike the proliferation of VR platforms, the amount of reaffirmation sources needed is definitely increasing fast. I personally would love to see the 2015 data and could near-guarantee that it’s astronomical (although, of course, there are various practical limits as to how much research one can humanly do). 2) 17% (an increasing number) of travelers are using search engines to research their vacation rental options (as opposed to searching the traditional listing sites). These stats suggest that just being helpful is not enough. Locally, we need to be more helpful than our 5 closest competitors. And we need to have presence (not necessarily prime real estate, but a presence) in the search engine results. What all these data points and trends tell me is that if we as hosts are not doing everything in our power to win that Zero Moment Of Truth — to win the information war — we are going to lose business. But consider the example of a host who is mentioned in 20 different Google results for the keyword of their vacation rental name (let’s say “Los Cuatro Tulipanes”) versus the host who is only mentioned once or twice. We must be as helpful and omnipresent as humanly possible. And that should not be confused with being more prominent than major listing sites. Whether you have a blog, a newsletter, an About.me profile page, or heck, a Twitter account where you share all new restaurants in town as they open. 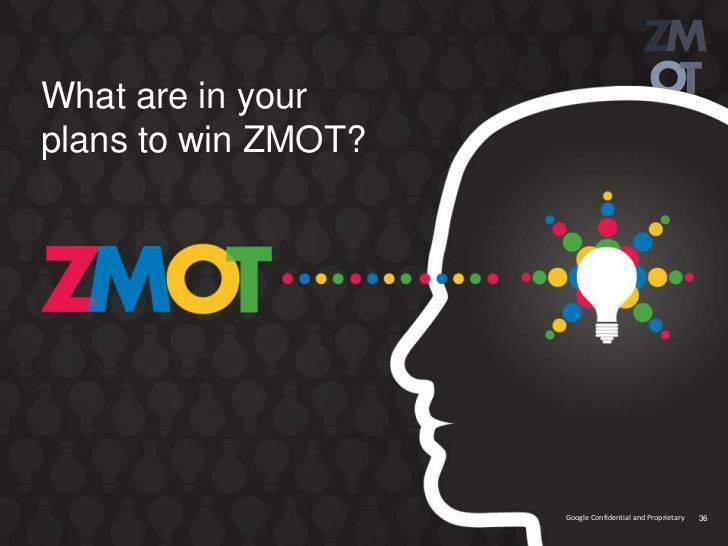 Any and all ZMOT efforts act as arrows in the quiver. It’s Help, Don’t Sell 101.